Chess is mostly about tactics. That doesn’t necessarily mean complicated combinations, but simply minor operations that take place at every instance of the game. The positional ideas and concepts often have to be backed up with accurate calculation or in extreme cases they can only be enforced by precise and well-calculated variations. Therefore, the calculation is the muscle of every chess player. How many positional players are able to get strong/winning positions and then fail when the opponent starts shooting desperado moves in order to survive? In other words, in order to reach a higher level, your calculation needs to be decent enough to not commit fatal mistakes, whether they are in static or dynamic positions. 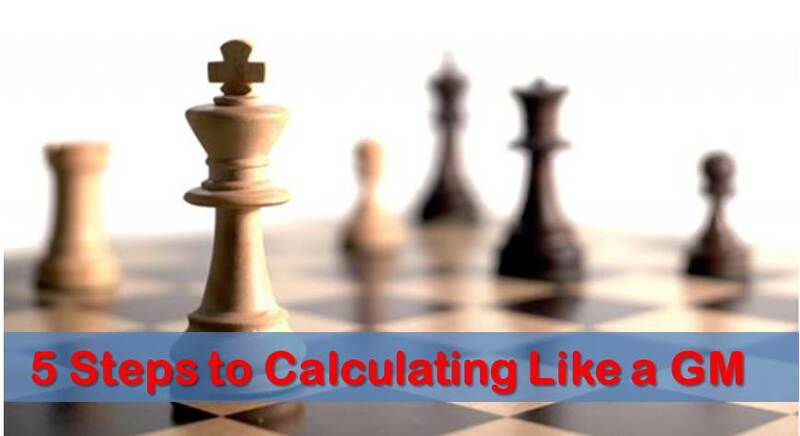 In this article, we will give you some useful tips in order to improve your calculation. They are not only directed at the serious and dedicated player but also at those who don’t have a lot of time; there are some habits one can practice in order to keep calculation sharp. The key to solving exercises at home is to do them right. This means that it requires some self-honesty; you can’t be soft on yourself because your opponent won’t be! So if you’re missing moves in your calculation don’t think that “I would have seen it” or “I saw this move but missed his answer” etc. Try to do the next one right. You should also annotate your answers on a piece of paper in order to confront your own mistakes. Writing down the moves somehow feels like playing the move in a real game; there are no take-backs. 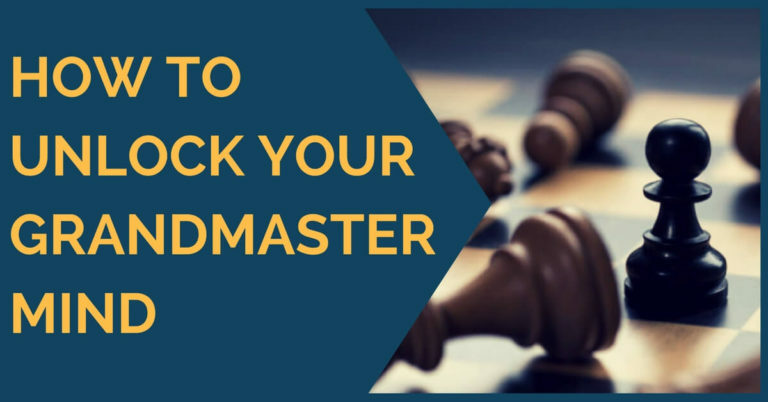 This practice has always been there but it seems it doesn’t quite catch among chess players. 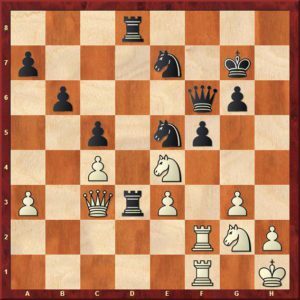 Most of them find them too hard and since it’s a composed position it may look rather unlikely to happen at the board. However, this is irrelevant; try to solve it anyway! The studies will expand your imagination to another dimension which can be applied in your games. Highly recommended practice. One big part of the calculation is knowing “what to calculate” in a position. 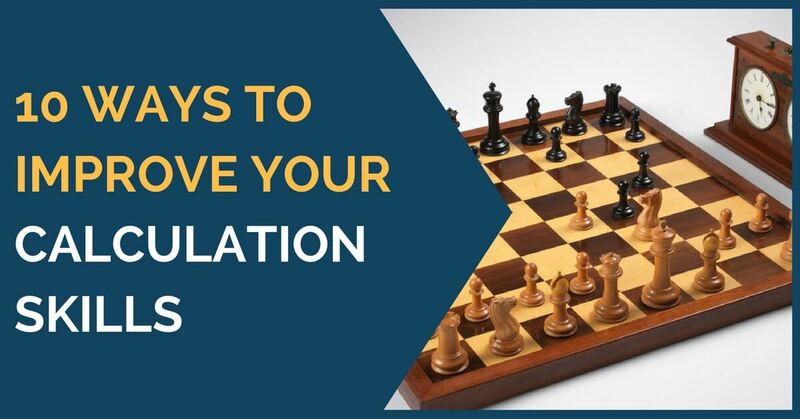 You need to become familiar with the candidate moves, therefore it is useful to find and solve exercises where the goal is not to win by some direct combination but to make practical decisions. The benefits of this practice are obvious. If you can play a full game without seeing the board and without making fatal mistakes, it is great news. The visualization of positions and potential positions that are not on the board is important. Many mistakes occur because we forget where a piece was after we calculate 3-4 moves ahead. Make sure you set a time limit to solve your puzzles. Start with 15-20 min and continue by using less and less time on the next ones. Nowadays it is not only important to play well but also to play fast. Precise calculation under time pressure is a huge plus at tournaments. We are not big fans of a blitz games overdose. 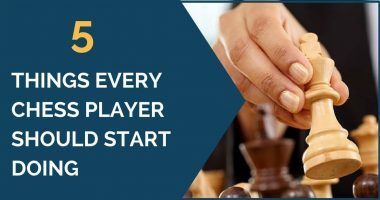 However, a small number of blitz games can be a quick way to improve your play. You still need to try your best; instead of playing for flag you should be trying to outplay your opponent by making good moves. Instead of looking for the virtues of a move try to work out the flaws it has. If from 4 candidate moves you have refuted three, then your choice is clear. You don’t know the consequences of the 4th candidate move, but you know the other 3 lead to defeat! Read a book or magazine with games without the board and see how far you can go without losing the image of the position in your mind. This can be done anytime and anywhere but it is easier said than done. It requires deep concentration and yes, it does work! Nowadays it’s quite common that we follow chess games from tournaments all around the world. Most broadcasting platforms have the possibility of turning on an engine to tell us in one second what is happening. Do not do it; get used to think for yourself and find the moves while you’re following. Sometimes your thoughts will match high level players. We hope what is written above serves you as a good guide for your personal training. As usual, please let us know your thoughts in the comments and help us improve as well. Trap: 1.Qa1?? Black draws with …Ng4! Sacrificing the queen.